Separating or retiring from the military is more than just a career change…it’s a lifestyle change. Find a job that fits your personality and your military skills with the VeteranSDS. 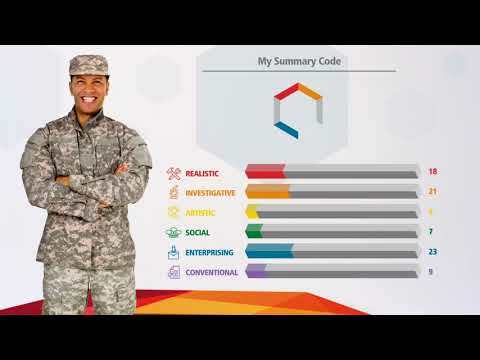 The men and women who have served their country need a tool designed specifically for them, an instrument that will help them discover the careers and fields of study they are particularly suited for. The VeteranSDS is an online resource designed for veterans and active-duty military personnel. Links military occupational specialty (MOS) titles with civilian occupation titles. Matches the user’s Summary Code to Occupational Information Network (O*NET) career options and required education levels. Provides information about using the skills and interests developed in the military in civilian occupations. Includes a transition planning checklist.